Engraved Vortex Mirrored Glass Awards. Available in 3 sizes, 145mm, 165mm and 185mm high. 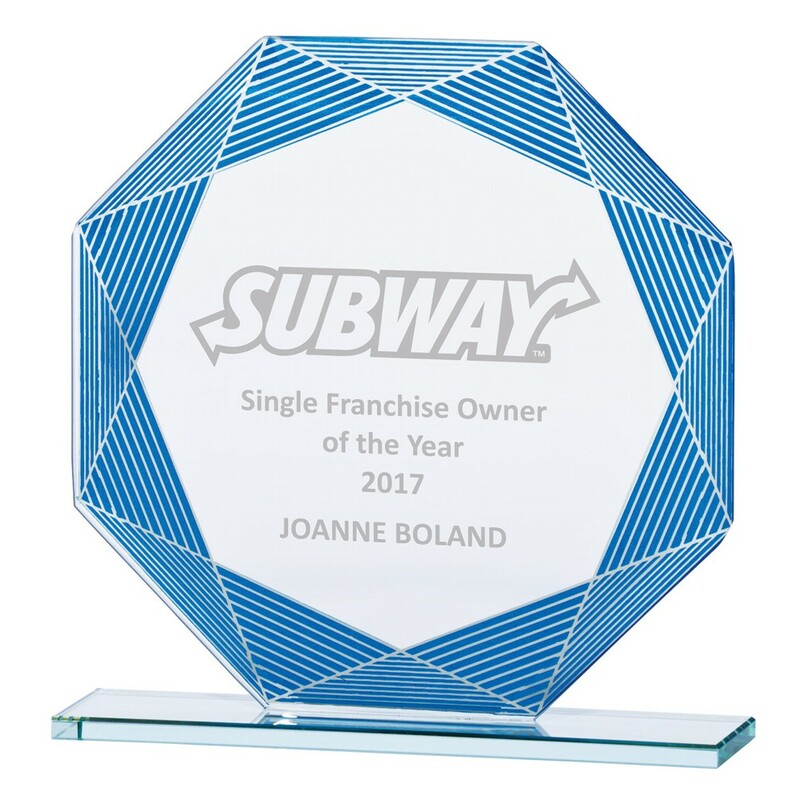 Mirrored glass award with a blue stripe star design. The mirrored glass is 5mm thick.